How do I put on a contact lens ? Handling a contact lens requires you to insert the lens directly onto the cornea of your eyes. Thus the first step is to wash your hands thoroughly with soap. Make sure you rinse the soap off. Firstly place the contact lens on the tip of your index finger with the concave side upward. If you are wearing a soft lenses, make sure the lenses are not inside-out. You can tell if the lens are inside-out if the lens are slightly folded. Some contact lenses brand have marking that make it easy to tell the front ofthe lens from the back. You can use your other hands to keep your eyes open, while inserting the contact lens. Place the contact lens on your eyes. If you are wearing soft lenses, it is not necessary to place them directly on the cornea the eyes. When the contact lens are place on your eye, it should feel comfortable and does not cause much irritation. You can blink your eyes to make sure the lens are carefully in place. If the discomfort or irritation persist on your eyes, remove the lens and clean it. Inspect the lens carefully to make sure it is not damage or inside-out. The lens should not be worn if the discomfort continues. Soft lens are easily remove by pinching the edge of the lens with your thumb and index finger.While removing the lens from your eye, you can use your other hand to keep your eyes open.You should becareful to not scratch your cornea with your fingernail. If necessary, you can move the lens away from your cornea before carefully pinching the edge of the lens. While soft lens user can easily pinch the lens from their eyes, hard lens user will need to use a different method to remove the lens.Do not pinch a hard lens to remove the lens as this may scratch the cornea of your eye. To remove hard lenses, pull on the outer corner of your eyelid with one finger toward your ears. Blink a couple of times so that the lens are dislodge from the cornea of your eyes. Use your other hands to cup the bottom of your eyes to catch the lens. Depending on the type of contactlens you are wearing, proper care should beadhere to when maintaining your contact lenses. Firstly. Make sure you wash your hands thoroughly with soaps. Do not use moisturizing soaps when washing your hands. Remove one lens and place it on the palm of your hands. Apply the recommended solution on the lens and rub it with your index finger for a couple of seconds. Rinse the lens again to dislodge any debris on the lens. Place the lens in your clean lens case and fill it with fresh solutions. Repeat the above step again for your other lens. Not all lens need to be maintain. If you are using adailydisposable contact lens, you will be replacing with a freshpair ofcontact lenseseveryday.Daily disposable contact lens are meant to save you time, expenses and trouble. 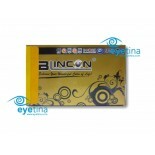 They are a convenient alternative if you prefer to wear contact lens with less hassle.